at the 2018 Valero Texas Open! 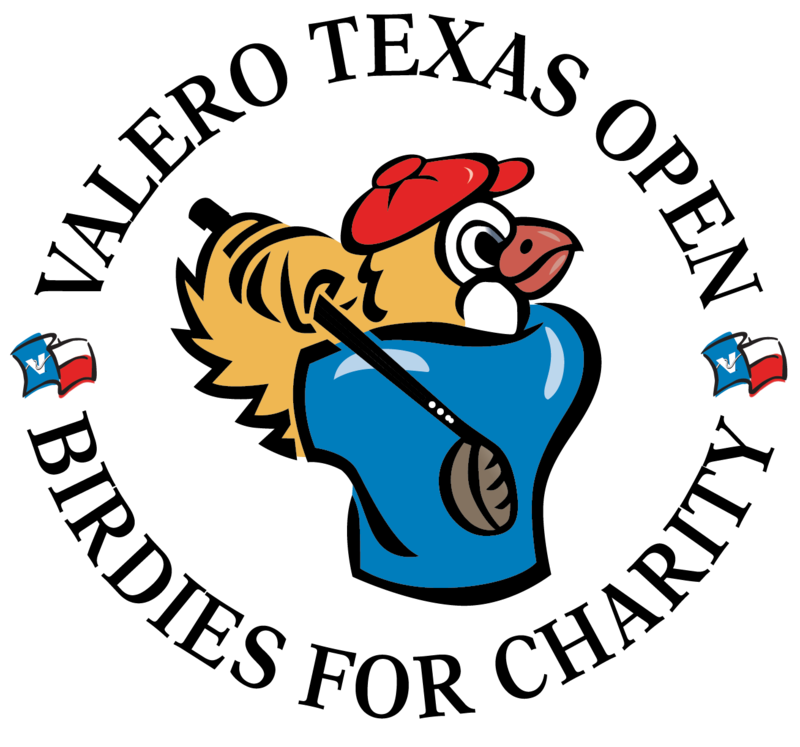 The Southern Texas PGA Foundation invites you to support us through Birdies for Charity®, an exciting fundraising program linked to the Valero Texas Open, the 3rd oldest tournament on the PGA TOUR schedule. We will receive 100% of every penny we raise through Birdies for Charity. Valero Texas Open and Birdies for Charity pay all costs associated with running the program. All funds raised will support the Southern Texas PGA Junior Golf programs. Depending on how well we do, we can earn additional “Bonus Money” provided by the Valero Texas Open. They provide a 7% match to make your donation grow even further! Make a donation using the pledge form here. Friends, family and even your company can also contribute using the same method. Any individual or business that donates $1,000+ becomes a member of the Birdies Club and will receive four (4) Good Any One Day general admission tickets to the tournament emailed to you through Ticketmaster. In addition, you will be recognized on a sponsor sign displayed at the Donation Stations located at both the main and VIP spectator entrances during tournament week, April 4-7, 2019. To add sizzle to the program, you can guess how many birdies will be made during the Valero Texas Open. If your guess is correct, you could win a Stay-and Play Package to JW Marriott San Antonio Hill Country and TPC San Antonio. In the event of a tie, a tie-breaker event will determine the winner. If no one guesses correctly, the computer will randomly select a winner and it may just pick your name! Contest entry deadline is Monday, April 1, 2019. All donors from the Birdies for Charity program that attend the Valero Texas Open and check-in at the Donation Station (located in Gatorade Fan Fest) will automatically be entered into a drawing. If your name is drawn as the winner, the Southern Texas PGA Foundation will win $20,000! If you attend all four days, you get four entries. If you help us win the $20,000 donation, you will also receive a cool prize from the Valero Texas Open! The Southern Texas PGA Foundation introduces and provides youth in Southern Texas broad opportunities to experience the game of golf, develop their talent as players and themselves as individuals, and promote scholarship benefits to as many qualified candidates as possible. We challenge you to find a friend or co-worker to pledge as well. It’s that easy! Should you have any questions or need more pledge forms, please contact Kailee Neumann at 832-442-2404 or by email at kneumann@pgahq.com.